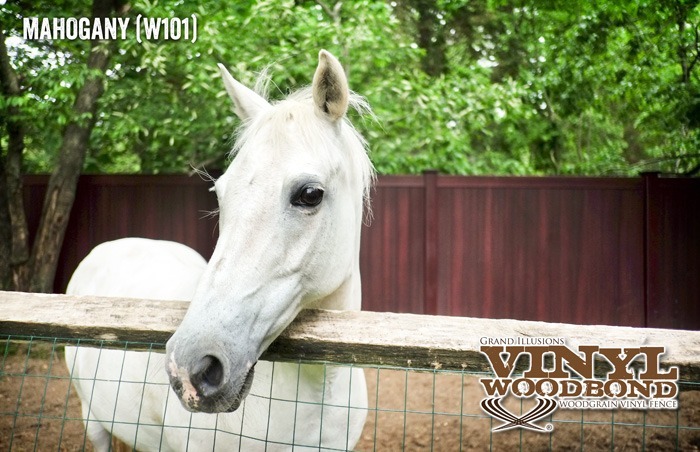 If that horse could actually talk we are pretty sure he’d say because he’s jealous of the horse in this picture! 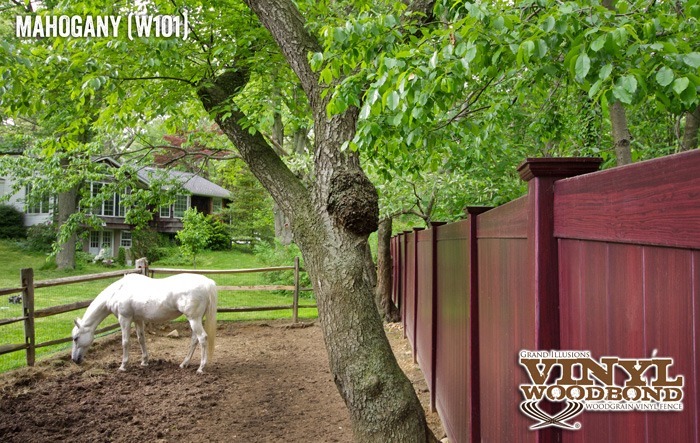 Just look at this horse’s vinyl fence enclosure. 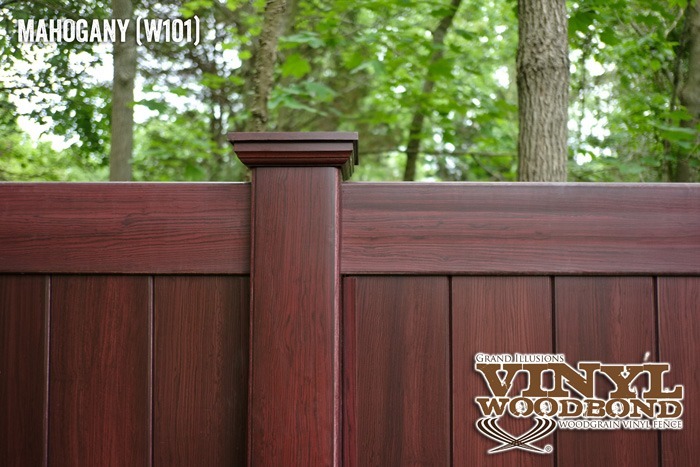 It’s not your standard wood post and rail fencing that the homeowner could have went with. Sure, that’s effective. It’s been effective for centuries, as has the wheel, but most of us prefer a car to rolling around on a big stone wheel. Everything evolves over time, including fencing. 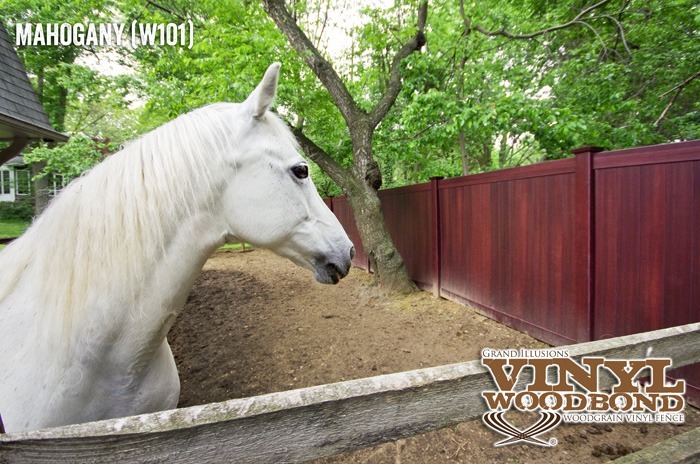 This beautiful horse here has a V300-6W101 Grand Illusions Vinyl WoodBond Mahogany (W101) enclosure, which is pretty much the crème’ de la crème of enclosures. 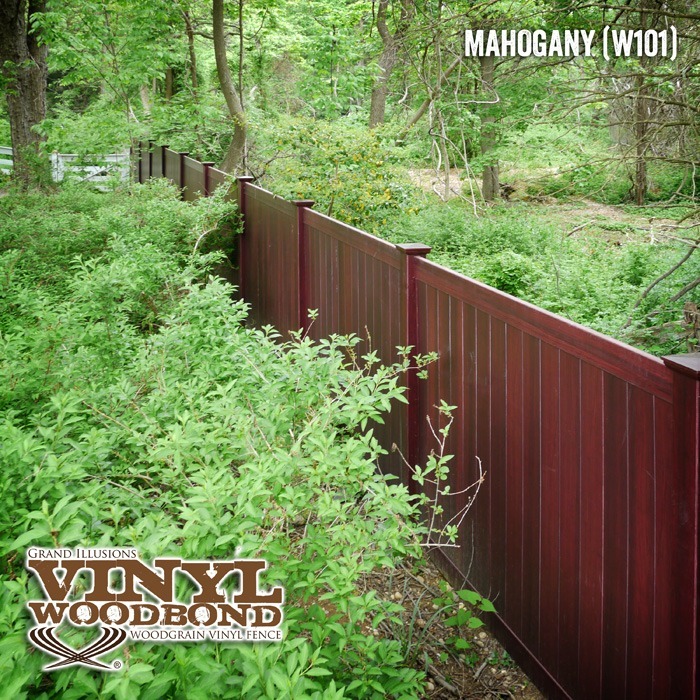 This beautiful Mahogany vinyl woodgrain horse fence won’t ever rot away on him and as with all of your Illusions PVC, including the Grand Illusions and Vinyl Woodbond fences, it’s lead free (ASTM F964-09 compliant). So it’s pet friendly for whatever you’re trying to keep in. So, if you haven’t worked with Grand Illusions yet, what are you waiting for? 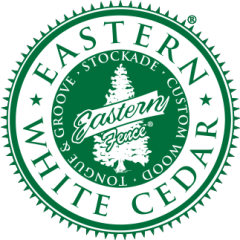 Jump off your rock and join us in the next evolution of fencing! 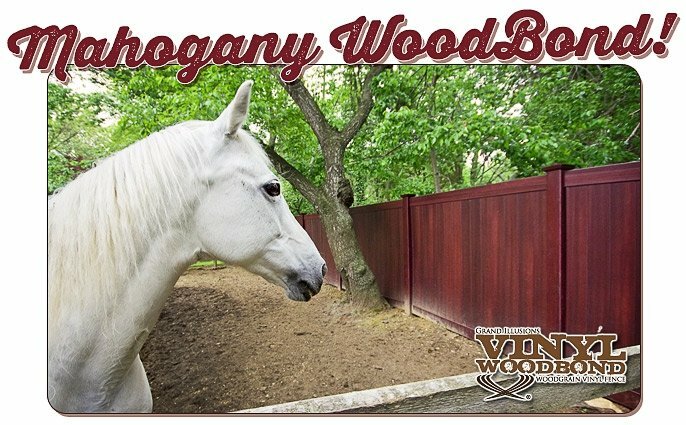 See more great images of Grand Illusions Vinyl Woodbond woodgrain vinyl fence and Grand Illusions Color Spectrum color pvc fencing products in the Illusions Fence Photo Gallery. Let’s take some time to check out a few of the install images.